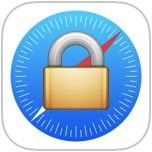 The optional iOS Restrictions settings provides a way to limit access to adult themed websites from Safari on an iPhone, iPad, or iPod touch, but for some purposes those default restrictions may not go far enough. For those looking to gain additional control over web access, users will find that individual websites can be added to a “Never Allow” list, thereby blocking access to those sites completely. 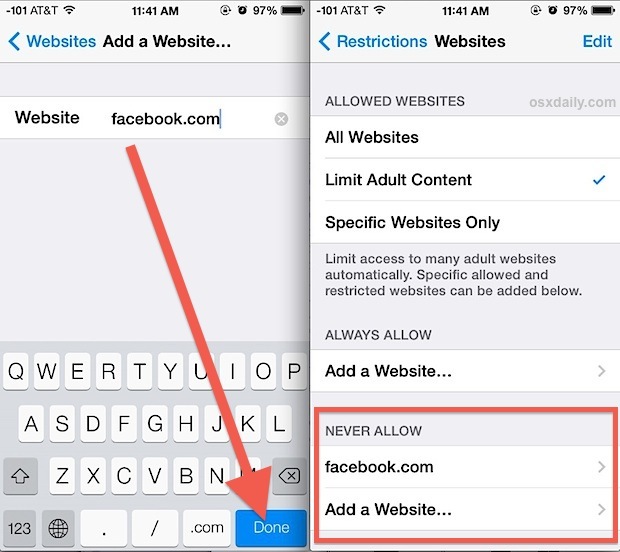 For example, Facebook.com is typically allowed in the broader iOS Restrictions filters, but by using this additional block list, you could prevent web access to sites like Facebook.com, or any other URL, from the iPhone, iPod itouch, or iPad. If you want to block any website from being accessed on iPhone or iPad and Safari, this article will show you exactly how to do that. This site-specific blocking feature is an extension of using filtering for preventing adult content in Safari on iOS devices, and is thereby customizable from within the same Restrictions panel. Sites that are specifically blocked through the “Never Allow” list will become immediately inaccessible, you can confirm this by launching Safari on the iOS device and trying to go to the URL in question. Users will find there’s an override option at this same screen to ‘Allow Website’, which requires the device restriction passcode to be entered manually in order to allow that site. As of now, iOS requires the “Limit Adult Content” option to be enabled in order to block specific websites, and the resulting action is limited to access through the default Safari browser. This is markedly different from Mac OS X, where you can block any website in any and all web browsers through a modification of the system hosts file. Because there is no means of modifying Hosts on the iOS side, this means users who want to block URL’s in other browsers would need to adjust them manually, or simply prevent third party browsers from being installed or run on an iOS device by using wider parental controls for the entire device. Because it would be more educator and parent friendly, it’s reasonably possible that content filtering may arrive at an enhanced level in future releases of iOS, but for the time being the methods outlined above will have to make do. 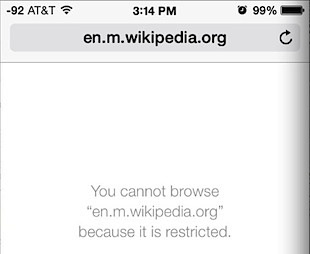 Do you know of any other helpful tips or tricks for blocking access to websites on iPhone or iPad? Share your solutions, tips, suggestions, thoughts, and advice in the comments below! Is it possible to block say google-analytics and maybe some other tracking and advertising sites with this method? I miss on iOS the possibility to restrict outgoing and incoming traffic (for all apps) – on my MacBook Pro I use Little Snitch. I do NOT use pirated software, I want to make sure I know which app is sending data and where. For what it’s worth, we use Google Analytics (as does almost every other web site) and it just keeps anonymous usage data for a site, providing statistics for things like what type of browser is being used, where the geographical interest is, and what’s popular. I wish Google would implement blocking on a per-video basis. It’s rare that I come across an entire site I want blocked from my son on his iPad, but there are plenty of videos on YouTube that appear to be kid friendly, but are actually laced with foul language. If I block http://www.facebook.com using the never allow list, will it also block use of the facebook app? This is why I hate Apple so beeping much. (Pardon my French, but I feel the ”beeping” is a necessity for to convey emphasis.) I’m getting a droid, or something better, as soon as I can. They default you to one the worst the internet programs (? Engines?) on the markets, and you cannot switch out the default to a (VASTLY) superior program. This engines gives you no other choice but to essentially be treated as a child, even if your Apple account verifies you as being well over legal age. (Case in point, the subject of this very article.) The apps one can presumably download on desktop are such a massively downgraded version to be almost useless in some cases. One of the most important apps, personal block list, can’t be downloaded AT ALL. This makes searching for useful news virtually impossible as one bombarded with tabloid garbage such NYT, HuffPost, CNN, Gawker affiliates, Vice, etc. Even for casual browsing purposes, one is still blasted on almost every page with Google Books and, in the case of images, Pinterest, the latter of which is particularly heinous for reasons that are obvious AS SOON as one attempts to use it. Hint: you cannot so much as LOOK at an image with signing up…and mobile, you have NO CHOICE but to use the vastly inferior app. These are the reasons why technology companies die. Their products drive the customers insane, the customers innovate in order to get around these insanity-inducing limitations when the company refuses/cannot adapt to the needs of the consumers, and eventually everyone stops caring about them. Or they become cronyists and make a deal with the government so that nobody is (legally) allowed to innovate, thus ensuring that everyone is equally miserable. Itd be nice to have a direct button in safari to block a site. This works though. Thanks. Is there a way to take off a website once added to never allow privacy settings? I also have this question. The restriction is now under screen time to never allow a website. I entered a website under never allow by mistake, meaning to add it to the allow listinstead, now I cannot remove it?